We do have some changes coming up soon with with MORE aromatic Woods coming into stock soon from Holy Woods. 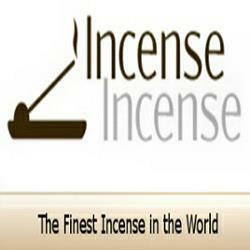 Primo Connoisseur Indian Incense will soon be back in stock as we are waiting on new printed boxes from the company (we are waiting patiently). There will be some new surprises with our Happy Hari Collection, Rare Essence Collection is fully stocked once again and last but not least I must remind you that Tibetan Incense can take a little longer for delivery please be patient as I only order twice a year and we have customers that will buy it right back out of stock when it comes back into stock. My suggestion is that some customers do is to pay in advanced so that they are guaranteed stock. Really makes it to your advantage when pre-purchasing on the hard to get incense just shoot me an e-mail (amanda@incense-incense.com) and I can get an invoice right over. Anything else I can do I'm here at your service.